Phew!! What a tough race! Having raced at Wildflower 70.3 and St George 70.3 I really thought this race wouldn’t be much different. Boy was I wrong. Tough, tough, tough! Twice as many hills as wildflower and much more windy than the hills of St George. And as usual the heat of the Philippines. I arrived in the Philippines on the 27th of January and trained in Cebu with some of the most wonderful people that I know. Thank you Jung and Corinne Cases for again allowing me to stay at your beautiful home. Thank Lorhiz, Jong, Jomer, Gianluca and others for the training partners and friendships while I am here… 🙂 With a win at a warm up Olympic race two weeks ago I felt I was really ready for this race. It is always a privilege to start with the pros and other elites and this race was no exception. There was a small group of I think 11 of us that hit the water at 6:35 am. My goal was to try and stay with LC Langit on the swim but that plan soon left me after hitting the water. 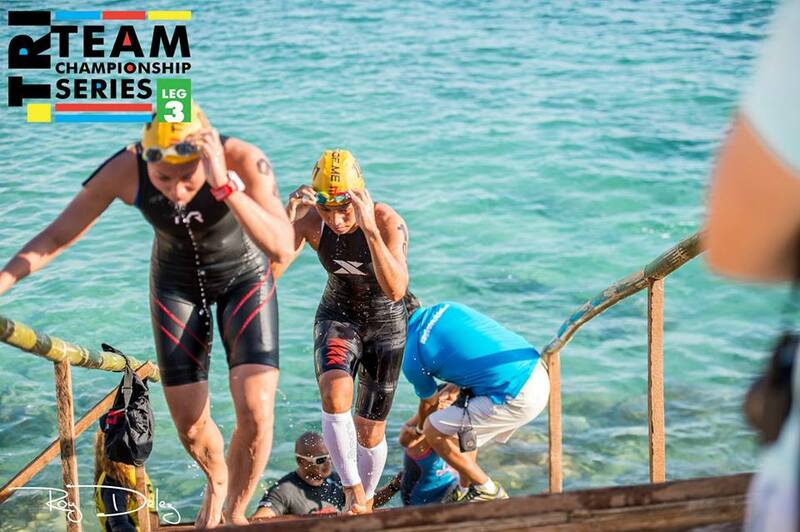 LC is a very good swimmer and I am not so much…:) I tried to settle in to a nice stroke rhythm and do my best but was a little disappointed with my 34:27 time but did my best to quickly get through transition and onto the bike and make up for my sub par swim time. I was thankful to be able to borrow a shallow front tire from Dik Dik as my iRT wheel got damaged and was only left with a very deep wheel for the front and this would have been very uncomfortable in the wind. I am not sure if it was the new bike, not quite dialed in on my bike fit, going from a 50/34 compact to a 52/36 or a combination of all three but I never did really feel comfortable on the ride at this race. The bike portion is usually were I feel the strongest but it never really felt right for the whole race. AND it was a very difficult course to say the least. I passed LC well before the turnaround and just kept pushing as best I could as I didn’t know anything about Lezzette Albarote and was afraid she might be gaining on me. This was by far the toughest bike I have ever done and at 3:16 minutes was a full 19 minutes slower than Wildflower 70.3 in 2012! I was happy to say the least when the bike portion was over and for once was actually looking forward to the run even though it is usually my least favorite portion. The run at Challenge Philippines is no cake walk either. 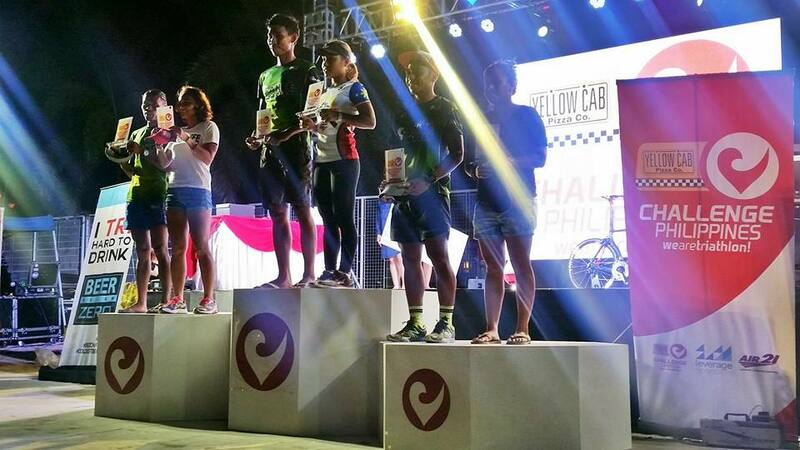 My husband and I were wondering why the attendance at this race seemed small at the Filipina Elite category and now I know why… 🙂 I tried hard to keep my pace that was planned but soon my thoughts went to just being able to run the whole distance. On the positive side though I think it is a much tougher run that Cobra Ironman 70.3 and I was 9 minutes faster for Challenge run portion than I was at Cobra last year so I am very encouraged to take another shot at Cobra Ironman in August of this year. 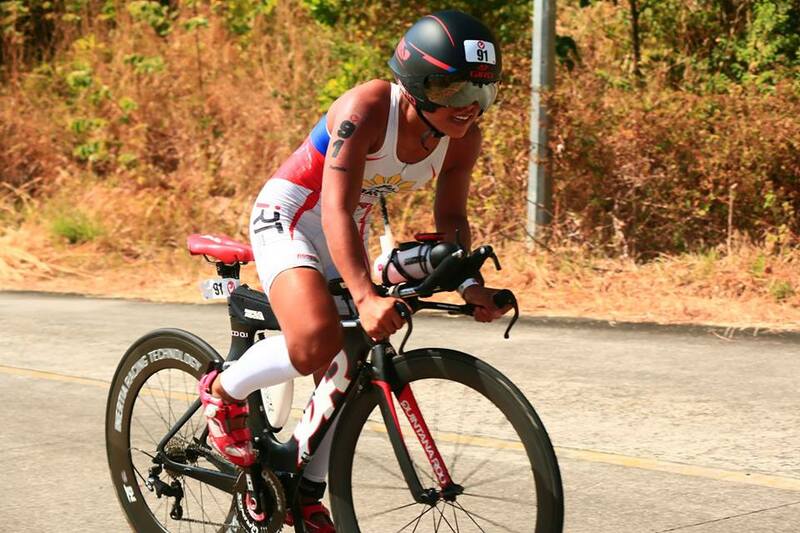 I love racing in the Philippines as there is so much crowd support and cheering. It always makes me smile to hear someone yell my name and encourage me to do well! I am so blessed to have placed first at Challenge for Filipina Elite and to have two wins under my belt already for 2015 as I didn’t have any in 2014. My hope is to have a breakout year this year and am really trying to stay focused on the right eating, training and rest. Congrats to Lezette and LC for 2nd and 3rd place finishes too. This was my first race trip without my husband and coach as he is working to support my goals for this sport. Very thankful for that but miss him and our son very much. Very thankful again to my sponsors Vitargo, Quintana Roo, Xterra wetsuits, iRT Wheels, Rocklin Endurance Sports and profile design. Without all of you this journey would not be possible. Thanks to all of you for reading my blog. It is so important to have the support that you all give and can never thank you enough. See you all at Ironman Subic in two weeks! !